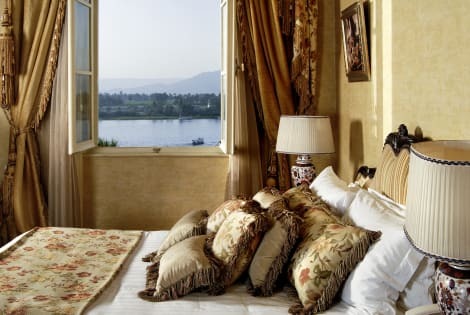 Discover the sumptuous history of a hotel that's hosted royalty and celebrities: the 5-star Sofitel Winter Palace Luxor! Built in 1886 on the banks of the Nile and surrounded by century-old Royal Gardens, the hotel overlooks the Nile and the West Bank Necropolis. It's an oasis of tranquillity - and a gateway to the splendours of pharaonic times. Come and bask in an atmosphere steeped in history, romance and adventure - all while enjoying the modern conveniences only a 5-star hotel can provide. With a stay at Steigenberger Nile Palace Luxor Hotel & Convention Center in Luxor, you'll be within a 15-minute drive of Luxor Temple and Karnak. This 5-star resort is 19.1 mi (30.8 km) from Valley of the Kings and 1.5 mi (2.4 km) from Luxor Museum. Take advantage of recreation opportunities including a health club and an outdoor pool. Additional features at this hotel include wireless Internet access (surcharge) and gift shops/newsstands. Featured amenities include dry cleaning/laundry services, a 24-hour front desk, and luggage storage. Planning an event in Luxor? This hotel has facilities measuring 2314 square feet (215 square meters), including conference space. Free self parking is available onsite. With a stay at Jolie Ville Kings Island Luxor in Luxor (Nile River Luxor), you'll be 3.4 mi (5.5 km) from Luxor Temple and 5.1 mi (8.2 km) from Karnak. This 5-star resort is 17.1 mi (27.6 km) from Valley of the Kings and 4 mi (6.4 km) from Luxor Museum. Escape to the banks of the Nile at the exquisite Hilton Luxor Resort & Spa, 20 minutes from Luxor International Airport. Located 10 minutes from Luxor town center, this stylish Luxor spa resort is the ideal base to explore the region’s historic attractions like the Temple of Karnak, two minutes away. Expect outstanding service from attentive multilingual staff at this Luxor resort. Feel at home in spacious guest rooms at this family friendly Luxor resort, with fresh bright decor and high-speed internet access. Many rooms have balconies and river, city or garden views. 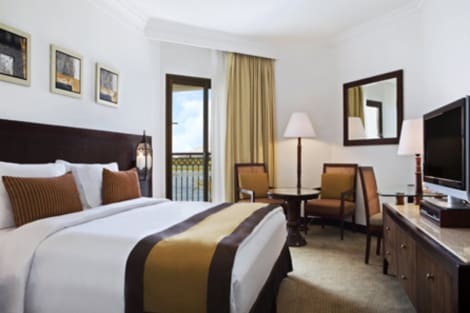 Upgrade to a Suite for extra space and a balcony overlooking the River Nile. Celebrate your wedding or hold a conference at this opulent resort and spa in Luxor, in the flexible banquet room with internet access. Hold social events in the elegant ballroom with professional staff support. Conduct business in the onsite business center or in the choice of meeting rooms. Choose from eight restaurants and bars at this magnificent Nile spa resort. Indulge in fragrant Arabian-style teas and Turkish coffees with waterfront views in the Diwan Shisha Café. Enjoy drinks and relax in the infinity pool at the sunken Oasis Pool Bar. Explore exotic eastern cuisine in the Silk Road Restaurant. Sip cocktails on shaded seating at the Sunset Lounge & Terrace. Tone up in the fitness center, indulge in luxury treatments at the Nayara Spa, bathe in the two infinity pools or relax in a shaded cabana hammock.